We’ve all forgotten Missouri State Rep. Paul Wieland, the Catholic patriarch so terrified of his own impotence that he and his wife Teresa sued the federal government to ensure that his wife and daughters would not have access to birth control covered by insurance. The inclusion, the Wielands argued, infringed on their religious freedom. The Wielands, parents of three daughters, are committed to the health and well-being of their children and thus seek to ensure that their daughters have comprehensive healthcare coverage. 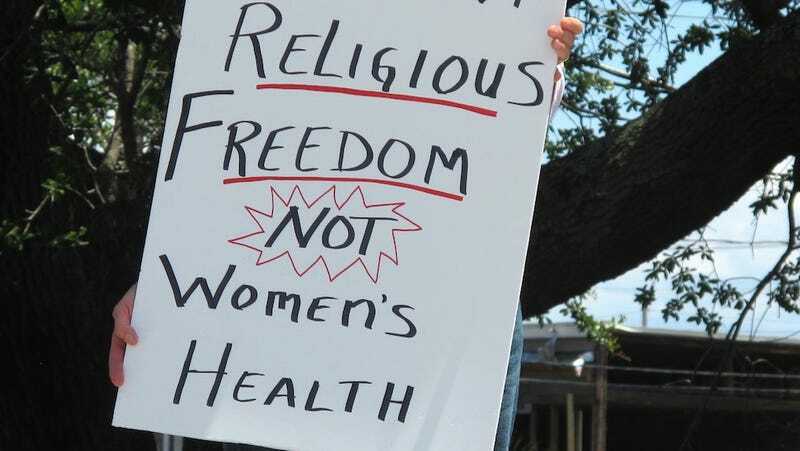 As devout Roman Catholics, they believe that they cannot pay for or participate in a healthcare plan that includes coverage for contraceptives or provide such coverage to their daughters without violating their sincerely held religious beliefs. Wieland v. Department of Health and Human Services builds upon the precedent set in Burwell v. Hobby Lobby, which allowed privately-owned businesses to exclude birth control from employees’ health coverage on religious grounds.